Shortly after the iPhone 4S launched, customers began reporting about unexpectedly poor battery life. Those complaints escalated last week as various media outfits picked the story up, prompting more users to step forward about their experiences with Apple's latest handset and mobile operating system. Cupertino has kept quiet about the issue until today, when it confirmed the problem in a statement to AllThingsD. 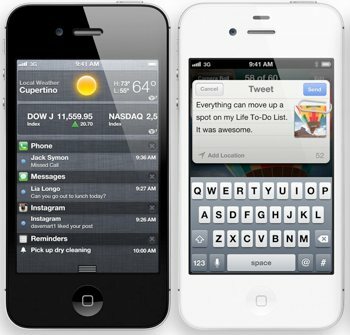 The company acknowledged that a "small number of customers" are experiencing poor battery life on iOS 5 devices. Although Apple was vague about the root of the problem, it acknowledged that there are several bugs affecting the autonomy of its mobile hardware. Unfortunately, it didn't offer any tips on how you can mitigate the issue until a patch is released, but the update should arrive in the next few weeks. Some users believe that iOS 5's location service is running when it's not supposed to be, while others blame the new notification system. Based on Apple's comment, both could be correct. Users report mixed success in boosting battery life after disabling iCloud, location services, as well as the weather and stock widgets on the notification screen. For whatever it's worth, I'm running iOS 5 on a 3GS with no discernible issues. Alongside that announcement, Apple has released iOS 5.0.1 beta (build 9A402) for developers. The releases notes mention the upcoming battery life tweaks along with multitasking gestures for the original iPad, bug fixes for Documents in the Cloud, improved voice recognition for Australians using dictation as well as various security improvements. There's also a new way for developers to specify files that should remain on-device.